Have you ever wished you could write a beautiful script? Do your gift tags need to be prettier? Or are you looking for a new hobby - something affordable, a little challenging and really rewarding to learn? If you're creative and ready for a new adventure, Making Beautiful Letters is for you! 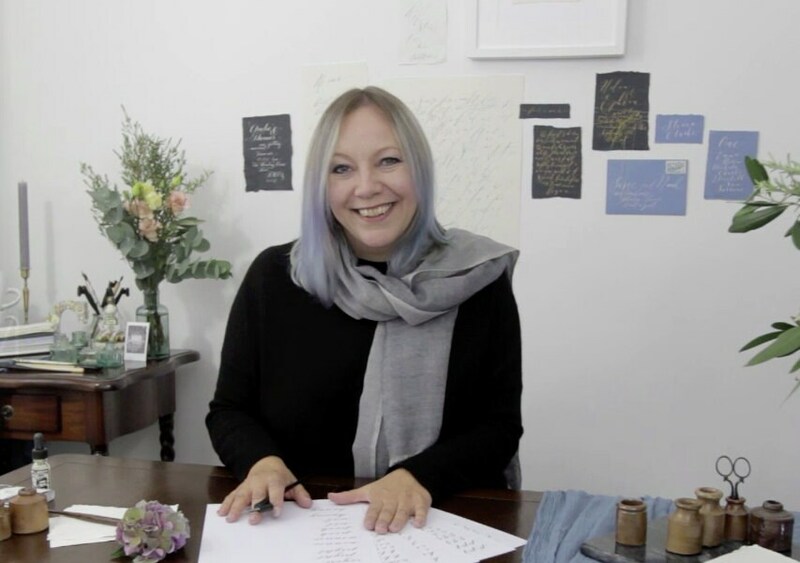 My online workshop is for absolute beginners and it's really easy to get started. You'll learn the tips and tricks of modern calligraphy at your own pace, with a new tutorial delivered by email every week. You will need a calligraphy pen and pointed nib, ink and some quality printer paper to get started. You'll also need access to a printer to print worksheets. I use a Speedball Oblique penholder, Nikko G nib and Sumi ink - when you sign up for the online workshop you'll be given an exclusive discount code for a 10% saving on my modern calligraphy kit, which includes all of these, a brush lettering pen (which you'll need for tutorial 6) and a 36 page inspirational book! 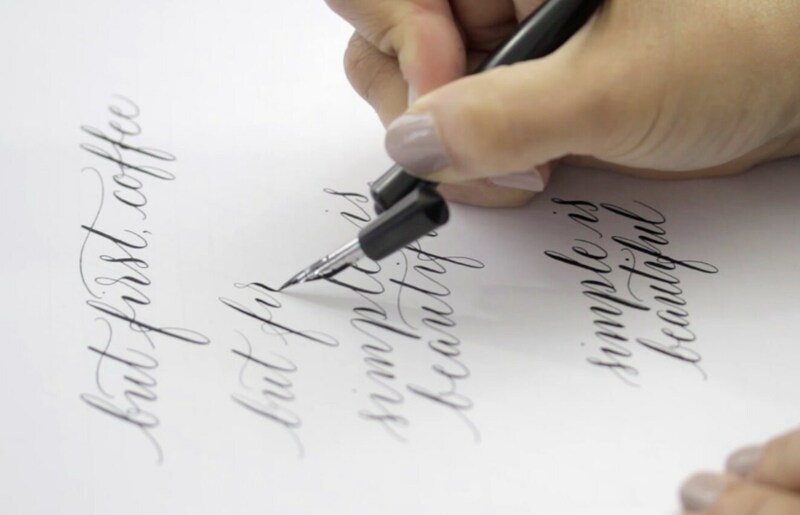 The workshop is based around 6 video tutorials of calligraphy demonstrations, tips and advice. Each video is around 5-10 minutes long. Every week you'll receive a new video, which comes with practice worksheets for you to print. You’ll learn how to write with a traditional dip pen, using lightness and pressure to create beautiful thin and thick strokes. 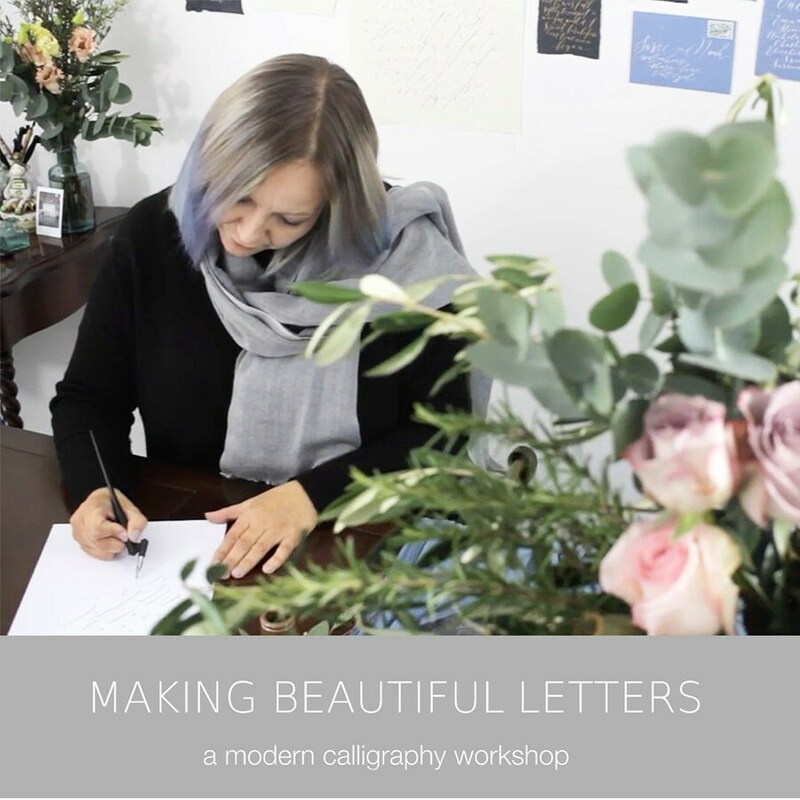 I'll teach the basics of a modern calligraphy alphabet and introduce you to brush pen calligraphy too! We begin with the basics - how your calligraphy pen moves and writes. Then we look at a lower case alphabet, then we learn capitals. I'll show you how to plan the layout for a short quote, how to change the style of your calligraphy with different letter shapes and joining strokes. I'll introduce you to brush pen lettering, and tell you which inks and papers I use for more colourful and experimental calligraphy projects. By the end of the 6 week workshop you will know how to write a beautiful modern calligraphy script with a traditional dip pen. You'll be ready to develop your own lettering style, and you'll be writing and framing your calligraphy quotes to hang on your walls! 2. I'll send you a welcome email the next working day, and your first video tutorial will be in your inbox within 48 hours!